So much for barbecue and pool parties! Apparently, what I do on Labor Day weekend is design and sew. I am now officially finished with all six of the renaissance fair costumes (we’re going as the “Merry Folk of Fulshear,” in a sort of fantasy Robin Hood theme this year), and I spent Saturday turning 3 ¼ yards of fabric into three dresses and two shirts. Now I know many of you out there who sew are thinking “the heck, you say?” but let me clarify: Two adult-size-8 sundresses, one adult-male-medium shirt, one kid-small shirt, and one size 6T dress. Aaaaaaaand I will be the first to admit that the adult shirt turned out certifiably weird, because I made it last, and by that time, I had a motley assortment of scraps, and even those were not in consistent and easy-to-use shapes. I think that perhaps the only reason I pulled it off was that I didn’t use a pattern for any of the above (at least not a paper one… I basically used a marker and a clear-view ruler and drew straight onto the fabric), and that freed me up to go a little crazy with shapes. 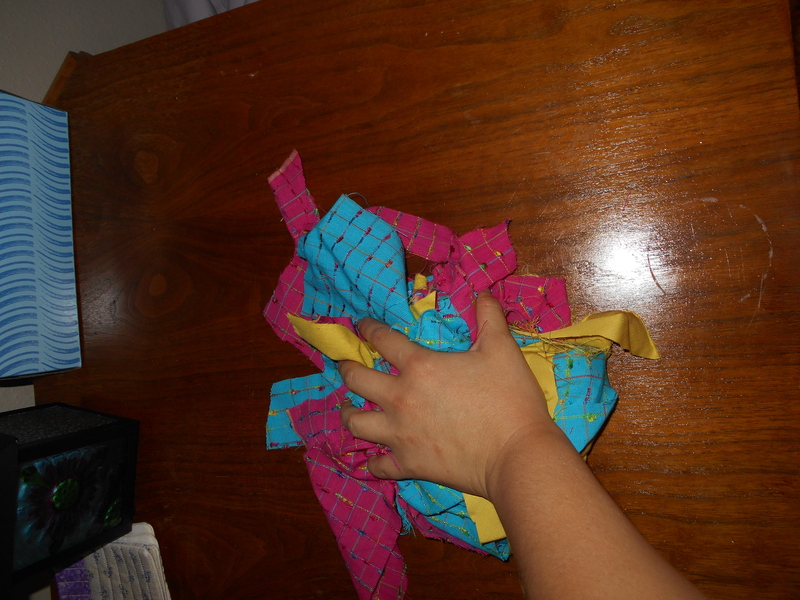 Also, almost everything wound up roll-hemmed, so I didn’t need much seam allowance. The real challenge throughout the project, in the end, was in keeping the lines on whatever bits of fabric I was using up-and-down and side-to-side (3 yards of the fabric was woven in a grid pattern), because I decided that I didn’t want any of the final pieces to look like a crazy train-wreck. 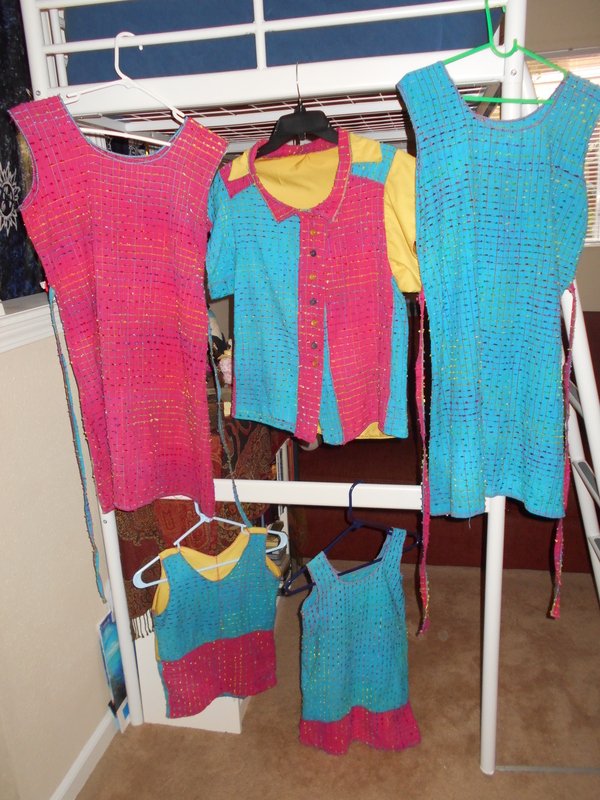 All five pieces wound up looking neat and tidy, even if the adult shirt is interestingly colorful. Finally, in my defense, my family and friends are out of town this weekend, and I am not. I am not a totally crazy, anti-social, Labor Day party pooper! I’m just not very good at not doing anything, and I recently cut back to three jobs (gasp!). Aaaaaaaanyhoo, happy Labor Day, everyone, and welcome to the unofficial start of fall! 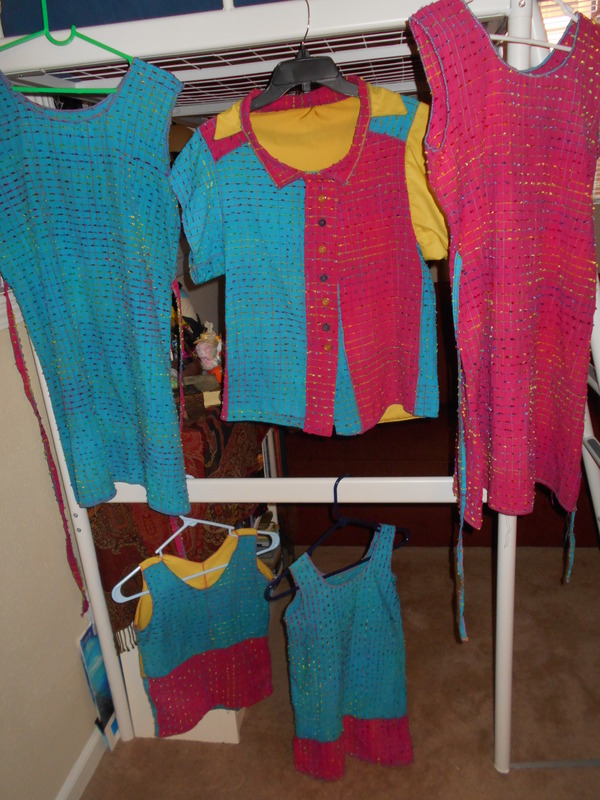 I finished a batch of summer clothing for my family just in time, right? Yyyyyyeah –E.G.D.